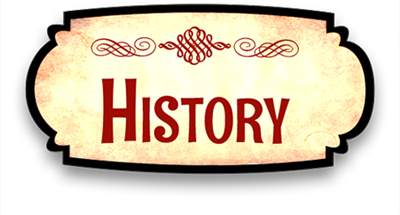 ...rowdy roadhouse called "The Pirate's Cove"
George, a first-generation immigrant from Italy, introduced pizza to the area for the first time, as well as chicken cacciatore or "drunken chicken", which later became our signature dish as well as our logo! Florian, who was the oldest of 9 siblings, brought my father, Ray, and his youngest brother Fred into the business. Fred was a natural bartender, working next to the main building in a beer bar called the Canteen, which later was lifted from its foundation and moved just south of the restaurant and now has become my brother Michael's workshop "The Wood Plane". Ray bartended as well as learned to cook through the years and eventually bought the business from George and Flo in the mid-fifties with Fred. 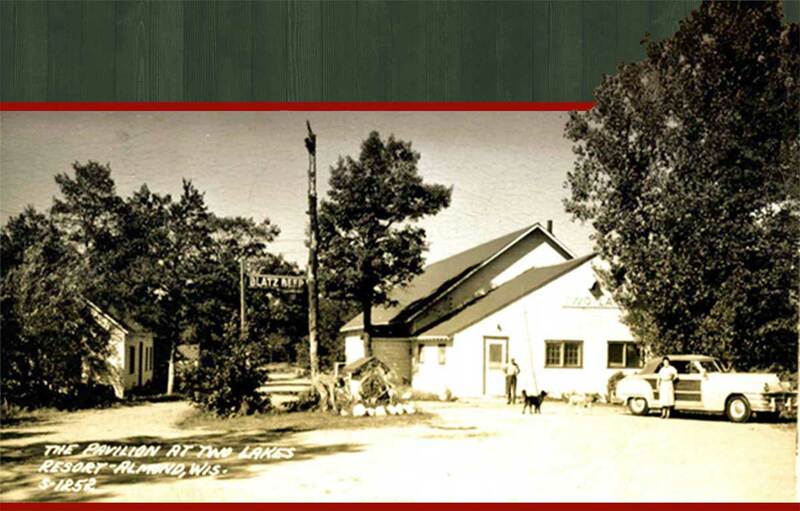 George continued in the Stevens Point area by opening Paul's Bar and eventually founding the Portesi Pizza franchise. 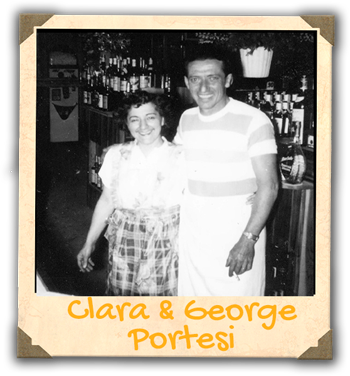 To this day we continue to have a valuable relationship and affiliation with the Portesi family. 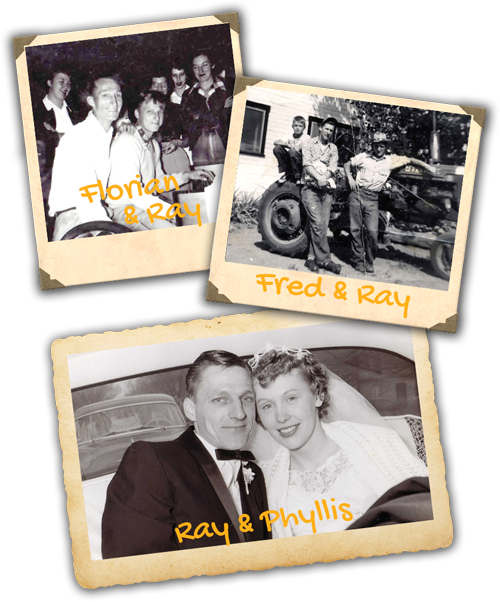 My father, Ray, and my mother, Phyllis, were married in 1957. My mother first waited tables but became an integral part of the kitchen and cooked for over thirty years while raising a family of four. The business became a family affair when my father's brothers also joined the fold to help. 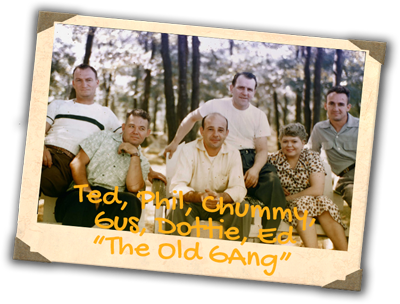 My uncle Ted, along with uncle Eddie, his wife Betty, my aunt Emily and her husband Phil, their kids as well as all my brothers and sisters, their husbands, wives, and children have all helped us out through the years. In the early days, it was not uncommon for patrons to bring instruments to the bar and entertain each other. 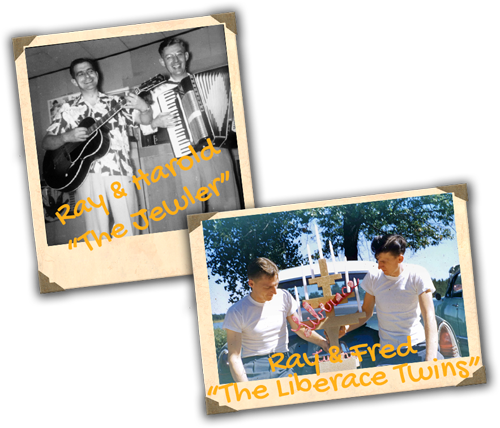 Harold, "the jeweler", as he was known to us kids, would play guitar while Ray Golla and my uncle Ed would play the accordion, and my dad and uncle Fred would play piano. “Green, Green Grass Of Home" and "Never on a Sunday" would never be the same after we heard them played by the aptly named "Liberace Twins". I can still recall the festive atmosphere of the season's closing night when Lulu Baily manned the piano and the whole bar would spontaneously sing along. There were stories of movie nights, when cement cinder blocks were set up with boards as seating and the Two Lakes Theater was in business. Slow nights would mean a call for a fire and hotdog roasts outside on the lawn. There was an innocence and joy to the business brought by the customers, many of whom were eccentric and fun characters, as well as my family, who were always there to try and accommodate them. Many people have passed through the doors of our restaurant over the years: governors, celebrities, professional sport players and coaches, but none more important than our loyal patrons who have helped us reach almost 70 years in business. My sister-in-law, Julie, my two brothers-in-law, Wayne and Wes, and I purchased the business from my father and uncle in 1990. Wayne, Wes and Julie have since retired from the restaurant, and my dad and mom have passed away. But Maggie and I, along with the next generation, are committed to honoring the tradition of hard work and commitment that has brought Two Lakes to where it is today. You can still see my uncles Fred and Ed, as well as so many of our loyal customers (generations who have grown up with their own stories of Two Lakes), our fantastic staff, and our continually growing "family" to welcome you here. Thank you for sixty years and here's to sixty more!